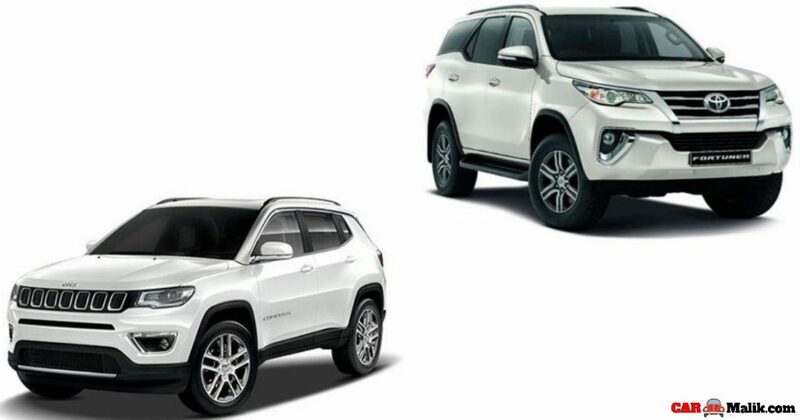 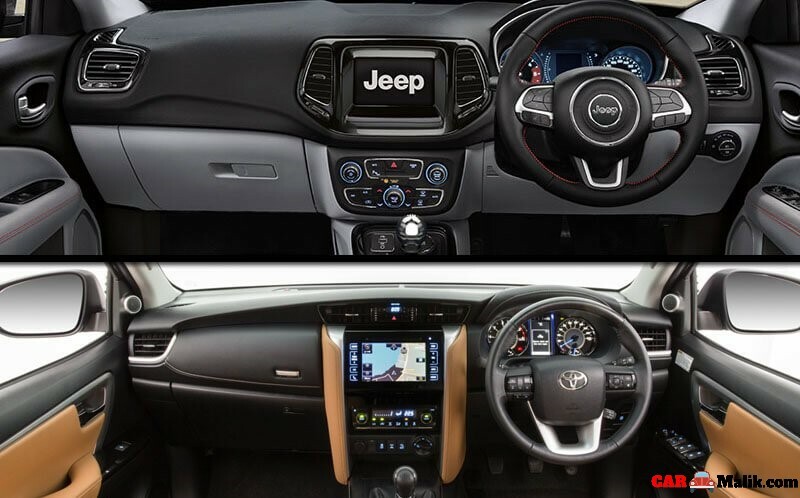 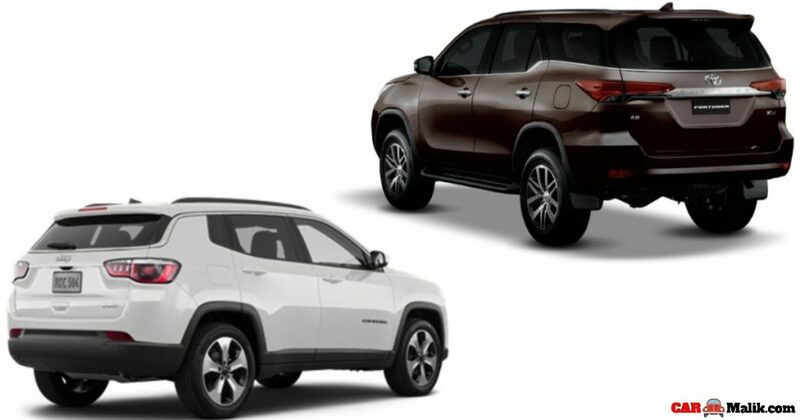 The two humungous SUV’s of Indian market Toyota Fortuner & Jeep Compass is going to rival each other. 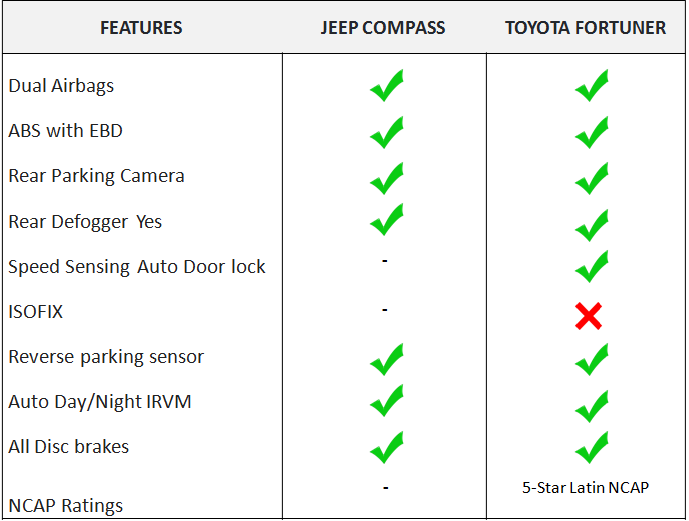 Let’s see the what gets more and gives more to the customers. 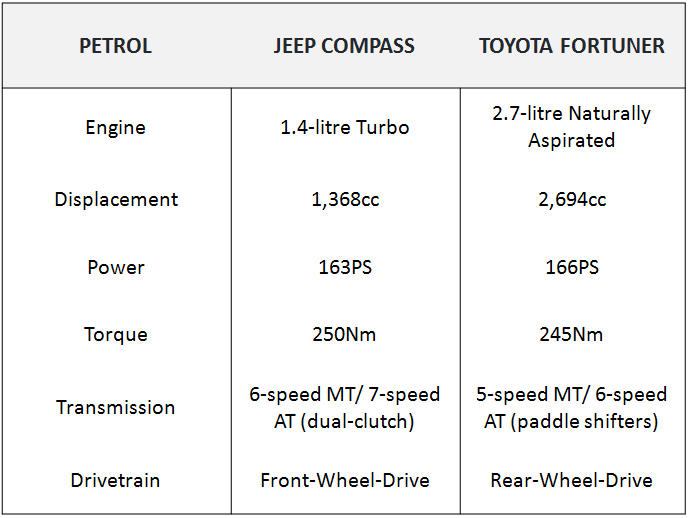 Winner: By seeing all the above figures it is evident that Toyota Fortuner gains upper hand in this category. 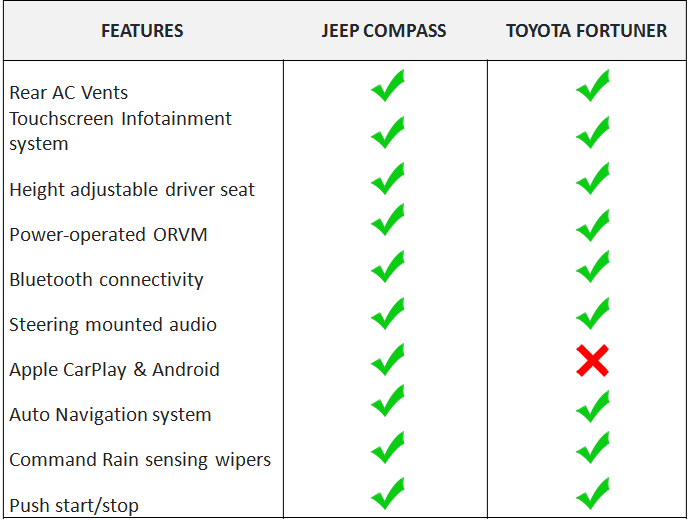 And also the 7-seat offering makes the SUV a winner as compared to the 5-seater Compass. 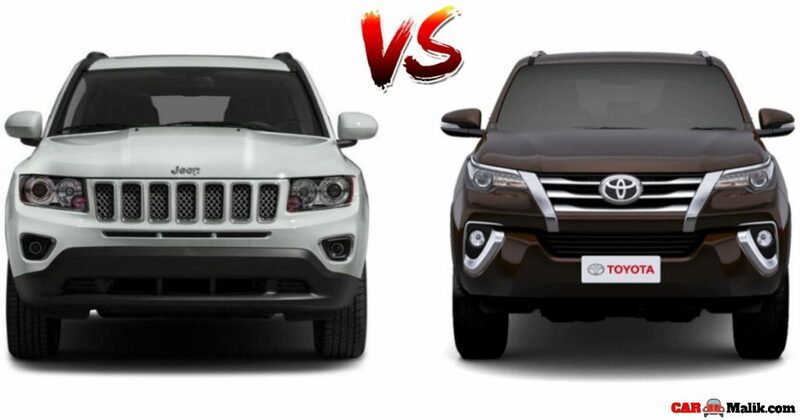 No discrimination here, the Jeep Compass also holds a bigger stance as compared to the remaining segment rivals. 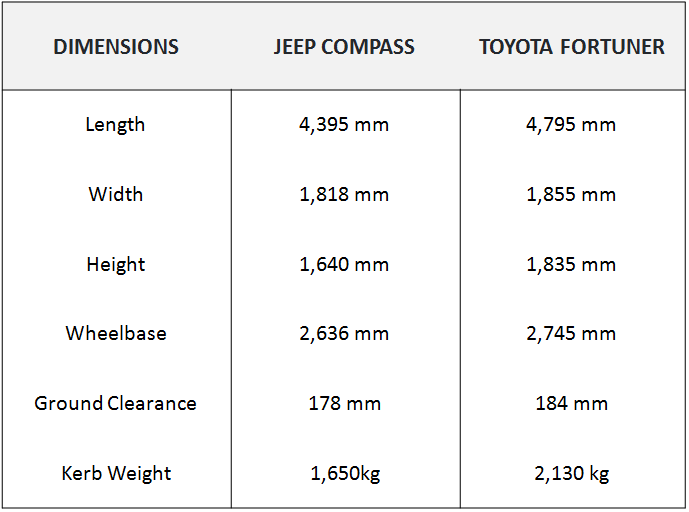 The high ground clearance is the main point to be discussed, as of this, Fortuner stands 6mm taller than Compass, which gives a good experience to the tenants on all tarmac conditions. 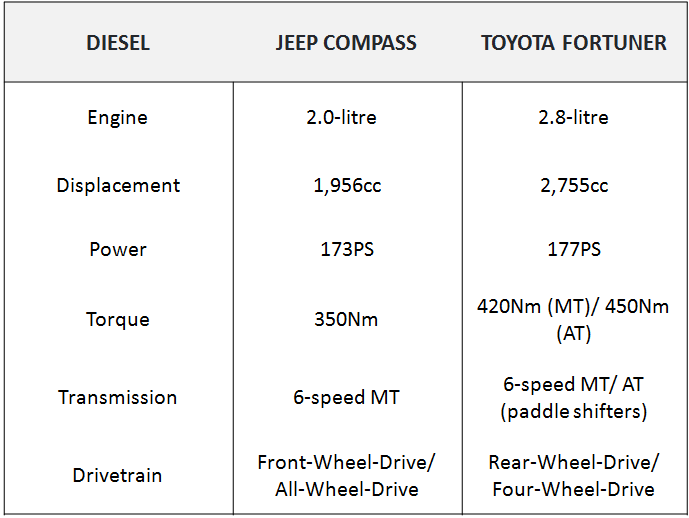 Don’t underestimate the Compass’s diesel performance, it generates only 4 PS low power output than the Fortuners mighty performance figures.